Ollie Ollie and Jake Jake were resuced from Rural Alberta. The brothers are quite simply amazing! Happy, Confident and Gentle. Ollie Ollie has such a cute little half moustache. 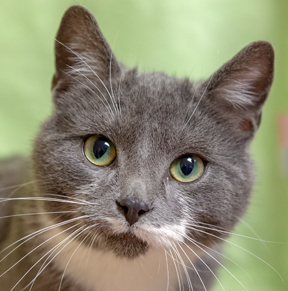 He's looking forward to his time at the Regal Cat Cafe and looking forward to meeting you.